Heat index values could top 100 degrees today with hot and humid weather entering the region. 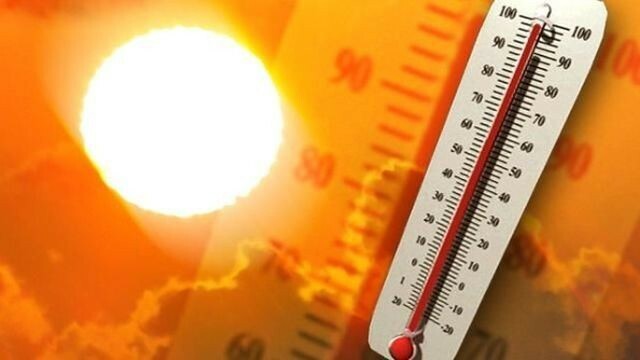 The heat is on in Cherry Hill Township and the surrounding area today as the National Weather Service has issued a heat advisory. The advisory will be in effect from noon to 6 p.m. today. High humidity couples with temperature in the lower 90s will lead to heat index values reaching up to 104 degrees today. The heat index may also approach 100 degrees on Friday and Saturday. As a result of the NWS’s advisory, the office of the Camden County Health Officer issues a heat advisory for the county today. · Avoid, as much as possible, working or playing in the hot sun or other hot areas. If you must be out in the sun, wear a head covering. A wide-brimmed hat or visor will not only protect your head from intense rays of the sun, it will also provide a shield for your eyes. · Use air-conditioners and fans. Open windows to release trapped hot air. · Those taking regular medication should consult with their physician. Some medications cause an adverse reaction in hot weather. · Drink plenty of non-alcoholic liquids, warm and cool. Because the body loses fluids in the heat, drinking lots of liquids helps to avoid dehydration. · Maintain a normal diet. · Shower or bathe in water that is near skin temperature. · Do not leave older people, children or pets alone in cars. · Make sure your pets also have plenty of fresh drinking water. · The early warning signs of heat stress are decreased energy, slight loss of appetite, faintness, light-headedness and nausea. People experiencing these symptoms should go to a cool environment, drink liquids, remove excess clothing and rest. Senior citizens in Camden County with an annual income of $25,000 or less are eligible to receive a free fan at no cost. To request a fan or for more information, contact the Camden County Division of Senior Services at (856) 858–3220.